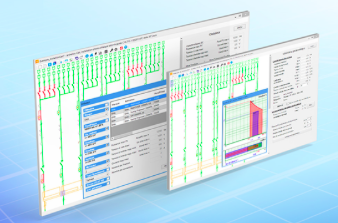 Trace Software International has launched the latest version of archelios Calc, a complete software solution for the calculation, sizing and control of photovoltaic installations connected to the public grid. The latest version of the software comes with the newest features for the solar PV self-consumption market. Solar photovoltaic energy deployment has been evolving. The increase in retail electricity prices and the decline in solar PV has brought many consumers to invest in solar PV self-consumption systems. The economic benefit is a big driver, but in a scenario where climate change is a pressuring topic, unsustainable choices are no longer an option. The self-consumption of PV electricity can help in accelerating the transition to a decarbonised energy system. A solar self-consumption installation uses the PV electricity generated on-site to meet the energy needs while minimising or excluding the use of electricity from the utility grid. As the energy is generated on site, transmission losses are kept at a minimum. It is an optimal choice for home energy efficiency as it allows relevant savings. The consumption will depend on several factors such as the number of electrical appliances used, weather conditions, the power of photovoltaic devices and on the number of households. archelios Calc now comes with a new self-consumption distribution board view in the connection and location type menu. The user will be able to select the self-consumption option in the interface and to manage the electrical parameters of the switchboard on which the installation is connected. The detailed diagram of the self-consumption installation will be provided, excluding the energy meters. The newest version of the software also presents a new interface design. The environment graphical representation has been updated with new colours and more modern icon design to improve interactivity. Furthermore, archelios Calc allows the real-time visualisation of the electrical network of the installation. Could Electric Vehilces Become Cordless?